The official “general use” flashlights of the Savannah Arsenal Project. The Rayovac “Virtually Indestructible” LED flashlight is tier-one gear . They have an aluminum body and rubber coating surrounding the bezel and the end cap. No matter how you drop them, they will land on a rubber part. We keep one of these flashlights in each bedside table, one on the workbench, one in my toolbox, and one in each vehicle. 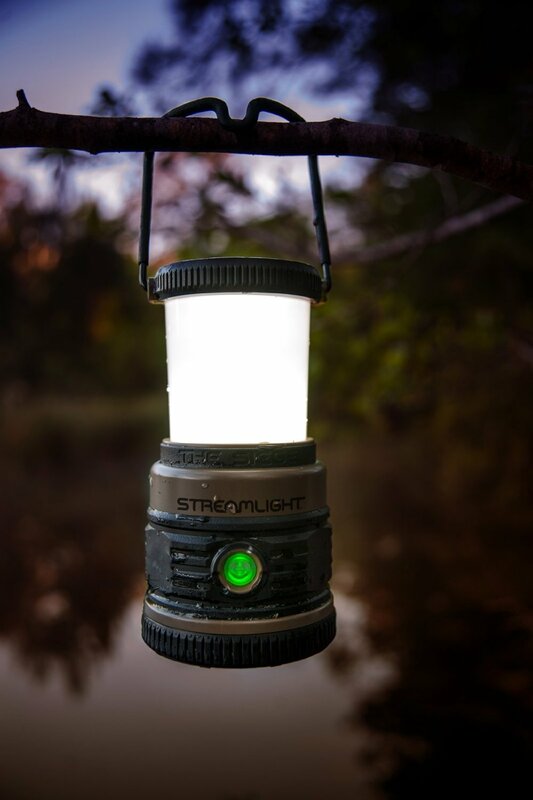 The ONLY reason that I would not recommend this light as a “tactical” light is that as you repeatedly push the button on the end cap it scrolls through its 300 Lumens bright setting, then off, then its 70 Lumen “energy saving” setting, and then off again. If there was a way to make it only turn on with the bright setting then I would have no problem recommending this light for more “tactical” purposes. Uses two AA batteries (think easy procurement — Wal-Mart, drug store, etc). 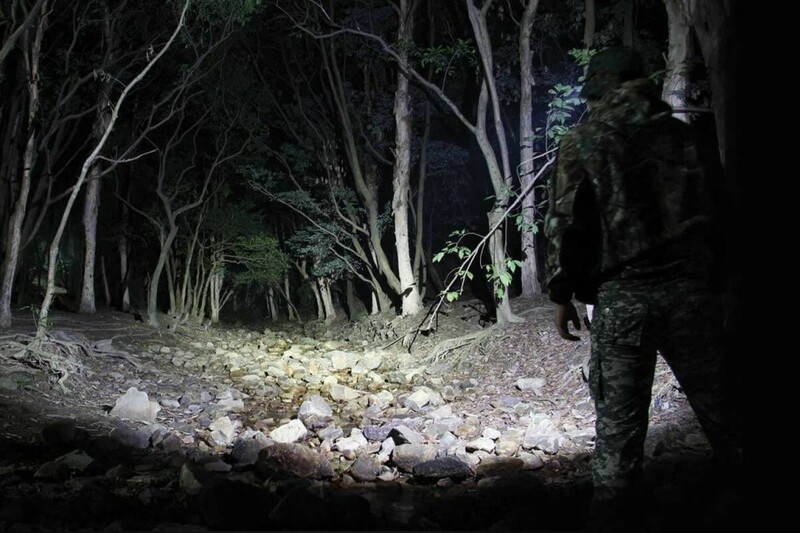 300 Lumens for ∼2 hours on bright mode. 70 Lumens for ∼12 hours on energy saving mode. Sold at Home Depot for approximately $15, or order on Amazon HERE. The original version of this flashlight had a Xenon bulb that was hot and only produced 70 Lumens. Later LED bulb versions that produced 120 and then 130 Lumens. Today, the latest version produces 275 blinding Lumens. This is a very reliable and economical light to mount on a rifle or shotgun. Using a 1″ diameter ring mount from GG&G (pictured above), I mounted several of these lights on M4 and AK rifles. Two of my rifles that were equipped with the 130 Lumens version were used in a carbine class and both lights survived a minimum of 1300 rounds with each rifle during two days of run’n & gun’n. The flashlight is programmable and shipped in a mode set so that as you repeatedly push the button on the end cap it scrolls through its 275 Lumens bright setting, then off, then its 14 Lumens “energy saving” setting, and then off again (similar to the operation of the Rayovac “Indestructible” discussed above). It is easy to reprogram it so that it is either bright or off if you want to use it for “tactical use”. 275 Lumens for 3 hours on high output mode, 14 Lumens for 65 Lumens on low output mode. TEN-TAP Programming with a choice of three operating modes. Tail cap push button provides one handed momentary or constant on. 3 hours of continuous run time to the 10-Percent output level. Available in black, tan, and yellow (pictured above). The Official Pocket Flashlight Of The Savannah Arsenal Project. I have several friends who have carried these lights as part of their EDC for years. They are small and compact, but produce a great deal of light for life’s every day emergencies. I and many fellow aircrew use the lights at work and keep them attached to our ID lanyards for quick access. These lights are small, lightweight, and barely noticeable when hanging from your neck, and yet are bright enough to preflight a medium size aircraft and perform night cockpit duties. If you only need a tiny bit of light, such as when reading a map or navigation chart, it is very easy to hold your hand around the lens to limit light output while pushing the button on the end cap with your thumb. 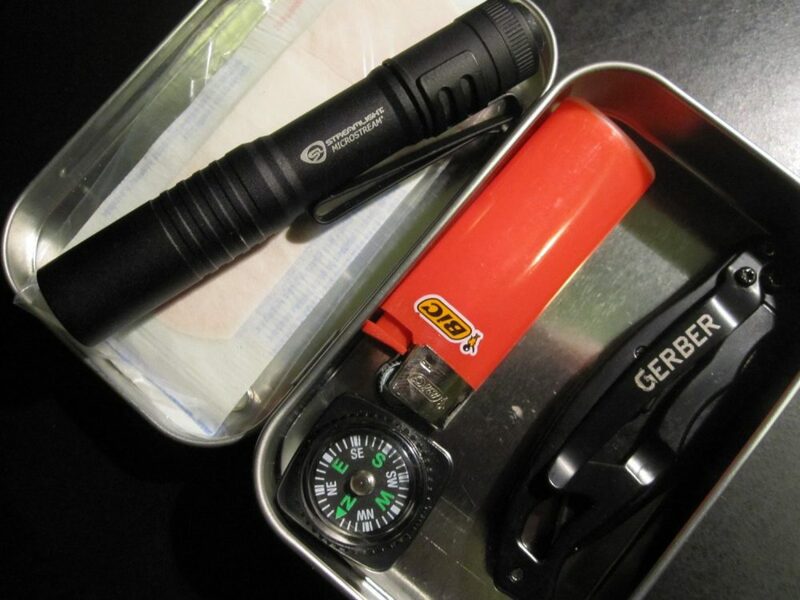 Keep an extra AAA battery with your gear. These lights will use every bit of electricity in a battery while providing maximum light output, and then die without warning. You can change out the battery in less than 30 seconds. Uses one AAA alkaline battery. 45 Lumens for 2.25 hours. Attaches to the bill of a baseball cap for hands free use. Easily hangs from an ID lanyard. Fits in an Altoids can type pocket survival kit. I picked up a Bushnell Pro flashlight from the sporting goods section of Wal-Mart for a little over $20, however they can also be ordered from Amazon HERE. 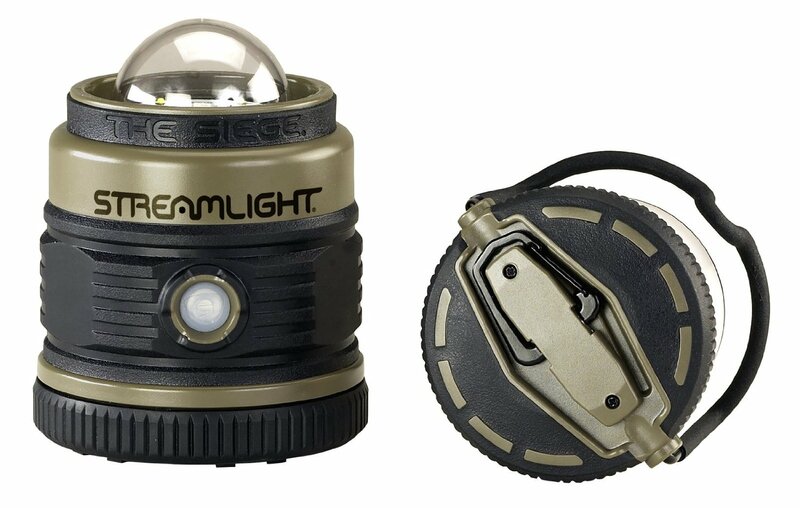 It has a Cree LED that is advertised as emitting 100 Lumens of white light with an endurance of 3.5 hours on two easy to find AAA size batteries. It is made of aircraft grade aluminum, has a momentary on / constant on end-cap switch, and has a pocket clip. Bushnell backs it up with a one year warranty. The light is very compact and very light weight. It appears well made. While I’m sometimes skeptical of the advertised brightness of flashlights, this light is bright and is probably close to the advertised 100 Lumens. The light is plenty bright for the its size, but the beam is widely dispersed and not as tightly focused or strong as I would normally like for tactical or emergency use. 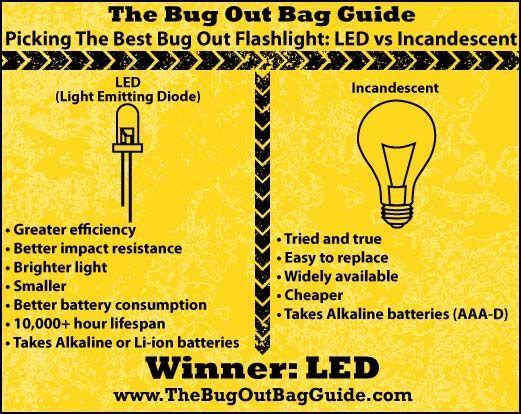 It is, however, perfect as an inexpensive, general use or backup flashlight carried in purse or pocket. I own the original 500 Lumens version of Rayovac’s Virtually Indestructible spotlight and it is awesome gear. I have used it during hurricanes, camping, walking the dog, etc. It puts out a sharp, blinding spotlight, but sips power from its 6 AA batteries. I have had my light for over two years and am still on the first set of batteries. The newest version sports 670 Lumens in the same size housing. Runs 8 hours on its high setting (670 Lumens) and 40 hours on its low/energy saving setting (80 Lumens). High — Low — Off is toggled through with the trigger. There is also a trigger lock to keep the light on hands free. IPX7 water proof — submersible in 1 meter of water for 30 minutes. They are sometimes sold a Home Depot, or can be ordered from Amazon HERE. 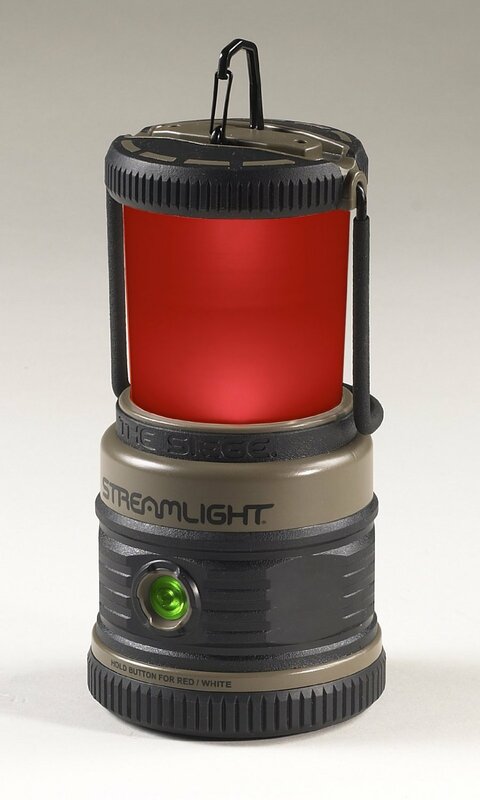 I just bought Streamlight’s new Siege LED compact lantern and used it on a camping trip last weekend. It’s the best money that I’ve spent in a long time. It provided my campsite with lots of light without the pain of using liquid fueled lanterns. It uses 3 D-cell batteries, can shine white or red, and has multiple brightness settings. 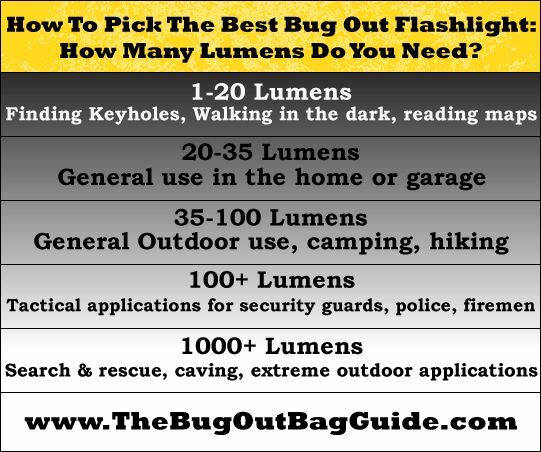 With white light on the high power setting you get 300 Lumens of light for 30 hours, on medium intensity you get 165 Lumens for 60 hours, and on the low intensity setting you get 30 Lumens of light for 130 hours! The Siege also has a red 10 Lumens mode and a red SOS flashing mode. This is what every home emergency kit and camping gear set needs. Get yourself a solar-powered battery charger and some rechargeable D-size batteries and you will have light for a long time. It’s perfect to hang from a hook or to set in the middle of the dinner table. They sell on Amazon for just under $33 delivered. Click HERE to order. Get one (or several) and you won’t regret it.